Since 1921, Rust-Oleum coatings have been recognized by professionals for providing durable protection against corrosion, impact, and UV exposure. Today, Rust-Oleum offers a diverse line of paints, polyurethane coatings, epoxies, enamels, and more. Their speciality coatings offer maximum performance for the specific surface and function that each was designed for. There are solutions for nearly any surface, including aluminum, plaster, drywall, concrete, masonry, fiberglass, galvanized metal, metal, rusted metal, steel, vinyl, PVC, and wood, and a wide array of applications, from roof recoating to pool painting. As a proud Rust-Oleum dealer, we carry an impressive selection of Rust-Oleum's highest-quality paints, epoxies, DTM acrylics, and other specialty coatings for industrial, commercial, and residential use. Additionally, our experienced staff stays up to date on their knowledge of Rust-Oleum's product line so that we can readily assist our customers when they have questions. 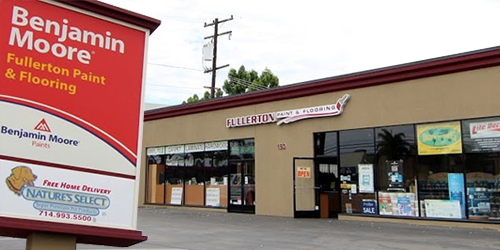 Call or visit our Anaheim paint store today!